The presence of Syrian Orthodox faithful in America dates back to the late Nineteenth Century, when religious persecution forced immigration from Ottoman Turkey to the United States and Canada. Often locating according to their trade skills, Syrian Orthodox faithful from Diyarbakir, Turkey, qualified as silk weavers, settled in New Jersey, a major area of the silk industry. Families from Harput, Turkey were drawn to Massachusetts while faithful from the province of Tur ’Abdin, bring chiefly weavers by trade, established themselves in Rhode Island as workers in the local mills. During the same period of time, faithful from Mardin, Turkey were to settle in Sherbrooke, Quebec, Canada. Syrian Orthodox families from in and around Homs, Syria now came to settle in the Detroit, Michigan area. On May 20, 1907, the Very Rev. Hanna Koorie was ordained in Jerusalem by Archbishop Mar Ivanios Elias Haloulei for the Syrian Orthodox faithful in the United States. During the same period, the Very Rev. Rabban Gabriel Anto, a monk of the Church, arrived in Quebec for a visit of six months and ministered to the spiritual needs of the local faithful. In 1922, the Very Rev. Nahum Koorie came to join his brother, the Very Rev. Hanna Koorie, in America, and in April of 1927, Mor Severus Ephrem Barsoum, then Syrian Orthodox Metropolitan of Syria and Lebanon, consecrated a church built by area faithful in West New York, New Jersey in the name of the Virgin Mary. This parish was eventually to relocate to Paramus, New Jersey in the 1960s. During the same period, parish churches were built in both Worcester, Massachusetts and Central Falls, Rhode Island. Moreover, during a visit to Detroit, Archbishop Barsoum was to formally establish a parish for the local Syrian Orthodox families. Within a few years some of the Detroit faithful were to move to Jacksonville and Miami, Florida. On January 29, 1949, His Eminence Archbishop Mor Athanasius Yeshue Samuel, then Syrian Orthodox Metropolitan of Jerusalem, arrive in the United States and immediately began to minster to the spiritual needs of the faithful in North America. On May 13, 1952, His Eminence was appointed Patriarchal Vicar to the United States and Canada by Patriarch Ignatius Ephrem I, and on November 15, 1957, Patriarch Ignatius Yacoub IIIset his seal upon the document officially establishing the Archdiocese of the Syrian Orthodox Church in the United States and Canada. On September 7, 1958, a cathedral in the name of St. Mark was consecrated in Hackensack, New Jersey for the new Archdiocese. In 1994, St. Mark’s Syrian Orthodox Cathedral relocated to a new complex in Teaneck, New Jersey with St. Gabriel’s Syrian Orthodox Church taking over the Cathedral’s former facilities in Hackensack. From the 1960’s through the 1980s, new Syrian Orthodox parishes were established in California, Southfield, Michigan; Chicago, Illinois; West Roxbury, Massachusetts; Portland, Oregon and Long Island, New York as well as in Montreal, Quebec and Toronto and Hamilton, Ontario together with congregations in the Washington, DC area and in Calgary, Alberta, Canada. In 1980, the Archdiocesan residence was moved from Hackensack to Lodi, New Jersey. Following the death of Archbishop Samuel in 1995, the Holy Synod of the Syrian Orthodox Church of Antioch divided the North American Archdiocese into three separate Patriarchal Vicariates: the Syrian Orthodox Archdiocese for the Eastern United States under His Eminence Mor Cyril Aphrem Karim, the Syrian Orthodox Archdiocese of Los Angeles and Environs under His Eminence Mor Clemis Eugene Kaplan and the Syrian Orthodox Archdiocese of Canada under His Eminence Mor Timotheos Aphrem Aboodi. 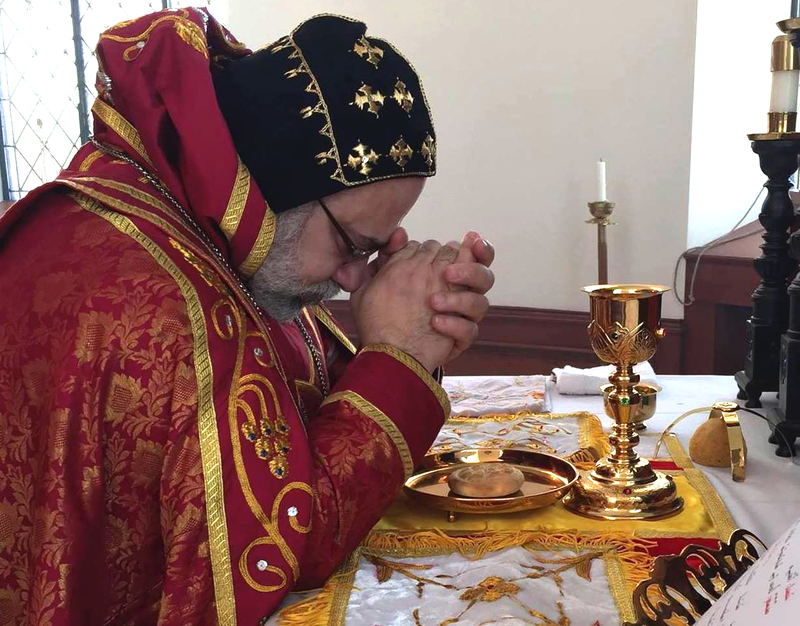 Under the spiritual guidance and direction of His Eminence Mor Cyril Aphrem Karim, two new congregations have been established in the Eastern United States, one in Jacksonville, Florida and a second in Brooklyn, New York. The parishes of the Archdiocese for the Eastern United States are presently served by ten pastors and together number several thousand faithful.